What an unbelievable week it’s been! The support has been genuinely overwhelming. 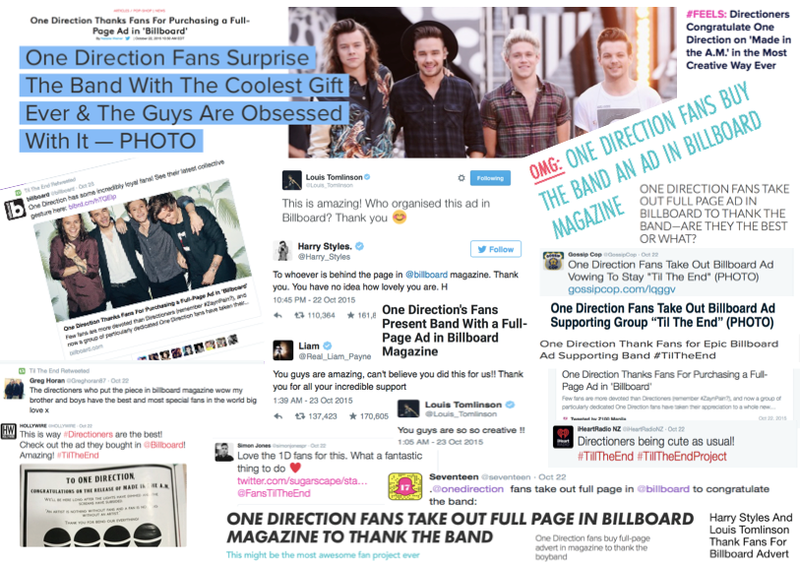 The news stories, being contacted by the boys, the tweets that we’ve received from other fans…we are just so amazed by how much everybody loved the ad! Thank you so much for everything so far and watch this space! It’s hard to believe that it’s finally happened! 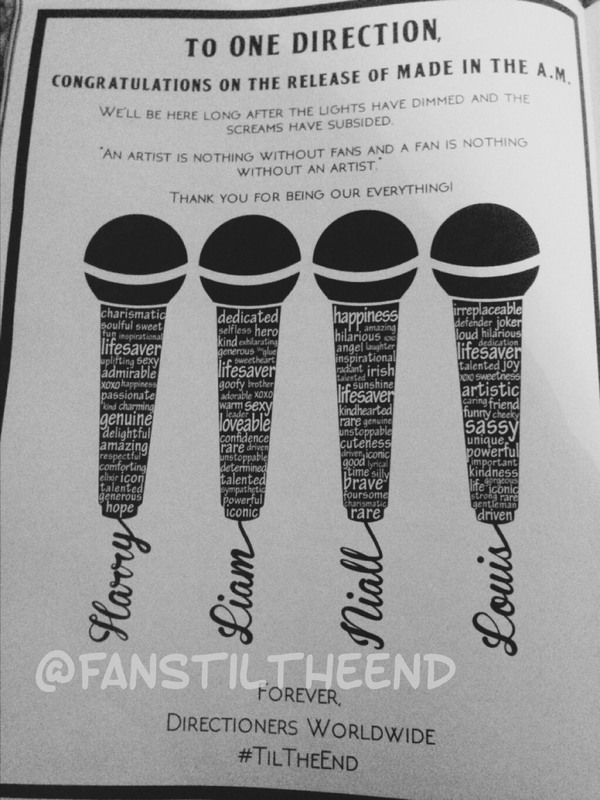 We initially set up a GoFundMe to receive donations from other 1D fans, but it was hard going. We ended up spending plenty of late nights coming up with how to raise money….we sold fairy floss at our nephew’s school fair…we started an etsy store…anything we could. There were tears, tantrums and plenty of laughs. We had some of the most passionate and amazing directioners who supported and believed in the project as much as we did, and to each and every one of you THANK YOU! It never would have happened without you! WE PUT AN AD IN BILLBOARD MAGAZINE! Check out the latest edition of Billboard Magazine to see the ad!!! 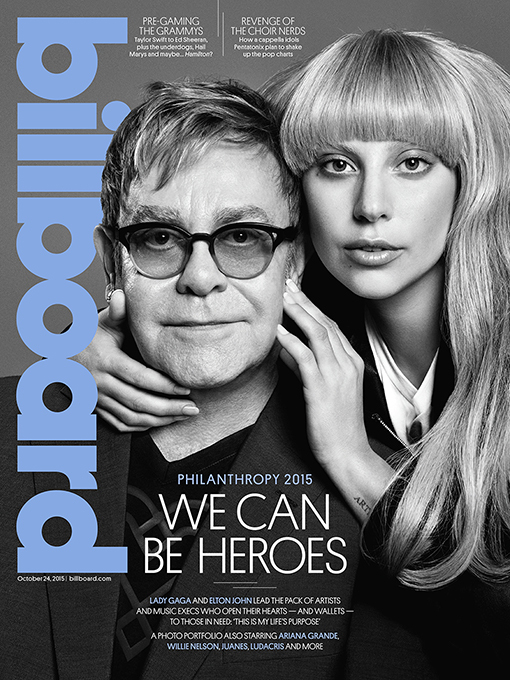 WE ARE GOING IN BILLBOARD MAGAZINE! The ad will be appearing in Billboard Volume 127 Issue 31 which goes on newsstands 20th October. Keep an eye out for this issue on stands! We are the most passionate and influential fans in the world and we need to spread the word!